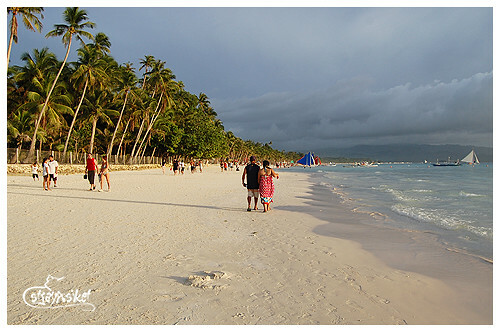 A few weeks from now, the BF and I will be settling foot on Boracay once again. 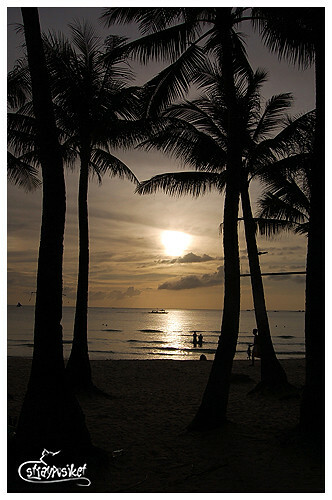 This will be our second time to visit the beautiful island. We got cheap tickets amounting to less than Php 500 each. There really is something about the island that keeps you coming back for more. In the meantime, let me share with you our 4-day trip last November 21-24, 2009. 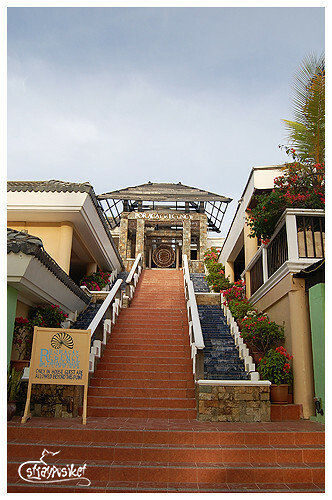 For our accommodation, we chose Boracay Courtyard. They have an ongoing promo at that time. 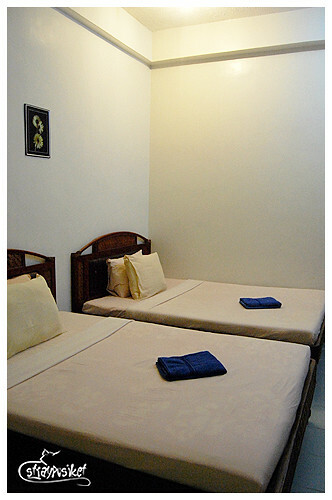 The Standard Room is priced at Php1,000 / night while the Deluxe Room is at Php 1,500. It took me about 3 days communicating with them through email and they gave me inconsistent replies. So I decided to call up their Makati office to book for a Standard Room which supposedly would only cost us Php2,000 for our entire stay. But to my disappointment, there are no more available standard rooms for our booking date. They offered me the deluxe room instead for Php3000. Still cheap but I could have booked for a standard room if they responded immediately and clearly to my emails. Nah. Enough with the ranting. Our original flight is Manila-Caticlan but we were diverted to Kalibo because of the incident that happened in Caticlan's runway which I mentioned in my Boracay Jackpot post. 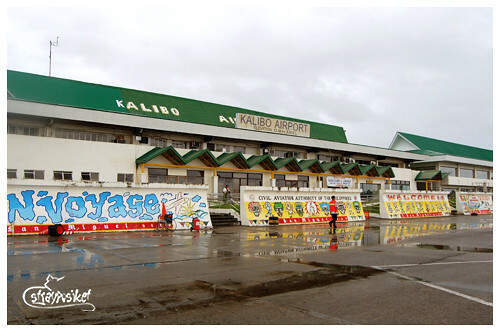 As soon as we arrived at the Kalibo Airport, we headed directly outside the arrival area since we don't have any checked in luggages. From Kalibo, there are vans to Caticlan at 150-200 /head. However, in our case, we were entitled to a free round-trip transfer Kalibo-Caticlan-Kalibo because of our diverted flight. 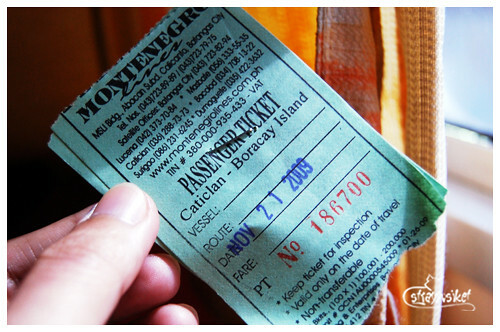 The journey from Kalibo - Caticlan took almost 2 hours. Buti na lang kuya was kind enough to take us directly to the jetty port and we didn't have to ride the tricycle from the airport. 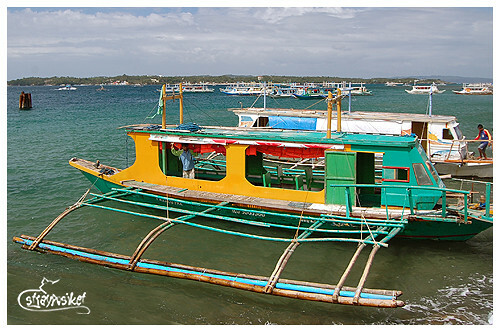 We opted to take the fast craft (with a 5 peso difference, you get to ride on a bigger ferry with aircon and soft seats.) and within a few minutes we're in Cagban jetty port. 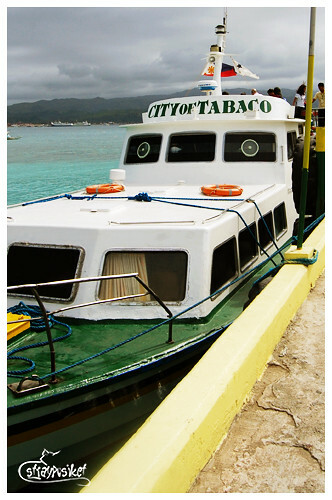 From the port, we still had to take a 10-min ride to the beach. We shared the trike with other passengers so we only had to pay Php 20 each. We got off at D'Mall since it's the only landmark I knew going to Boracay Courtyard. I forgot to print a copy of the hotel's directions so we got lost a bit. But even if we didn't get lost, it's still a long walk from D'mall to the hotel. Boracay Courtyard may have offered us cheap accommodation but the location - well if you're used to a lot of walking, then it's a good choice. Haha. 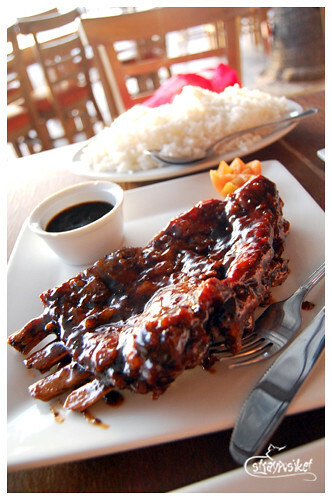 It's near D'Talipapa though so if you want cheap "paluto" then this is the best place. Had I known this earlier, we should have gotten off at D'talipapa from the highway and didn't have to walk under the scorching heat for a whopping 20 minutes! We got too tired from all the activities that day (rushed to the airport to catch the 8am flight + 2 hours land travel to Caticlan + boat transfer + trike ride + finding the hotel) so we rested in our room the whole afternoon. The sun was beginning to set when we decided to go out. 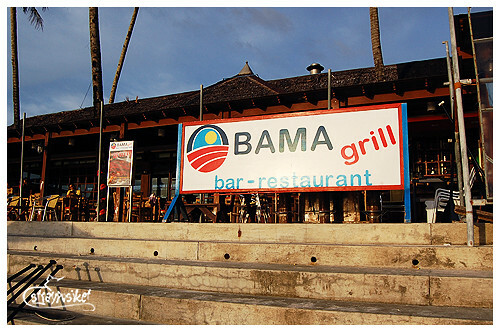 We went to Station 1 and headed to Obama Grill to have our lunch/merienda/dinner. 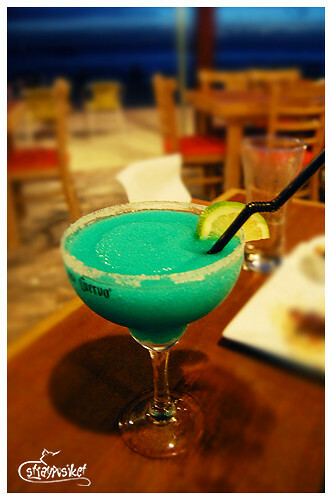 We stayed there until evening enjoying our bottomless margarita.